Senior citizen Ms. Decima Smith is featured as she received the keys to her new home today, January 3. 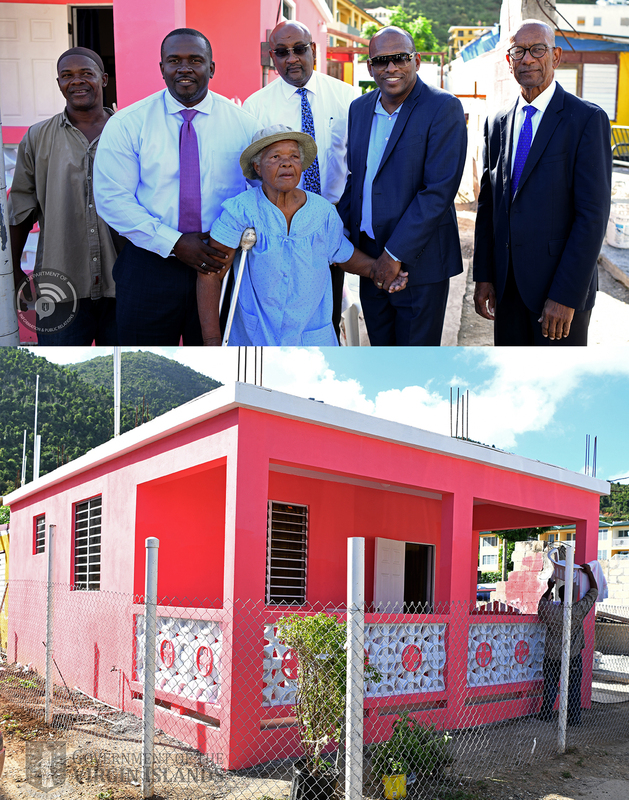 Ms. Smith's home is the first home completed under the Social Housing Element of the Housing Recovery Assistance Programme. She received a one bedroom, one bathroom home outfitted with a kitchen, living/dining area and porch. Premier and Minister of Finance, Dr. the Honourable D. Orlando Smith, OBE; Minister for Health and Social Development, Honourable Marlon Penn; Minister for Communications and Works, Honourable Mark Vanterpool; Leader of the Opposition, Honourable Ronnie W. Skelton and other government officials were present to witness the event.